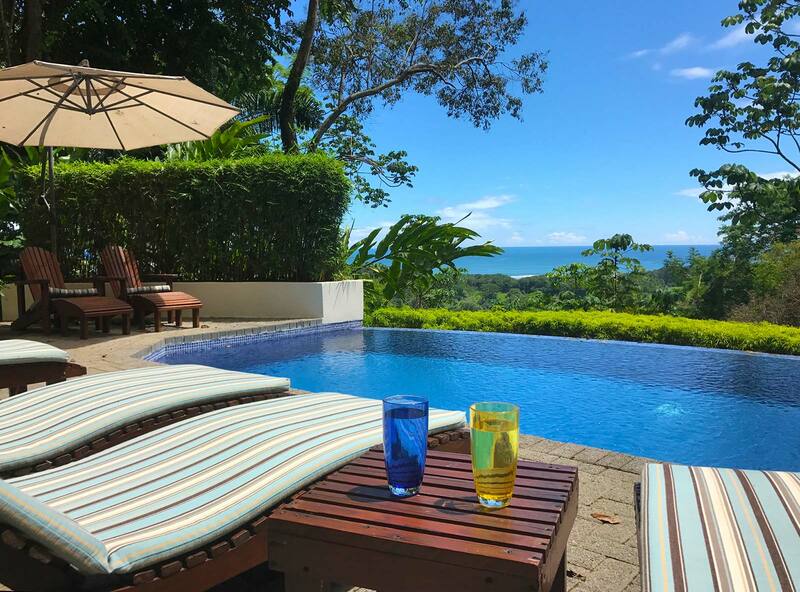 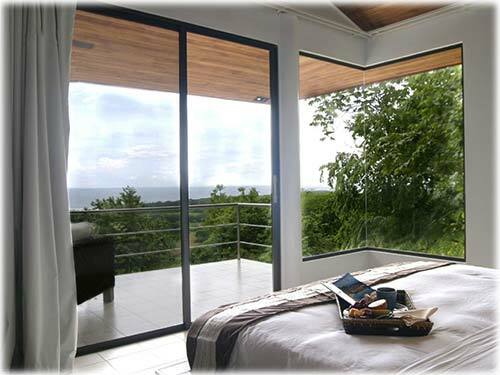 For anyone in search of a home in Costa Rica which is ready to move in and enjoy immediately, this private home checks all the boxes. 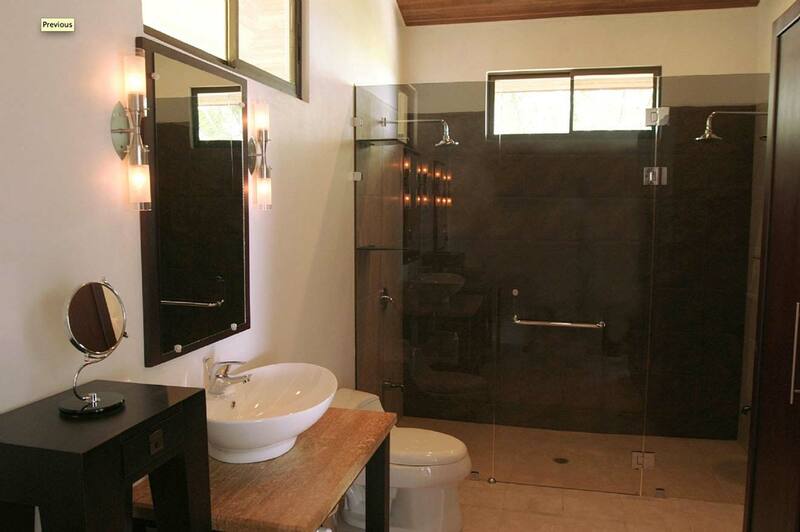 This 4 bedroom, 3.5 bathroom home is fully turnkey in every way. 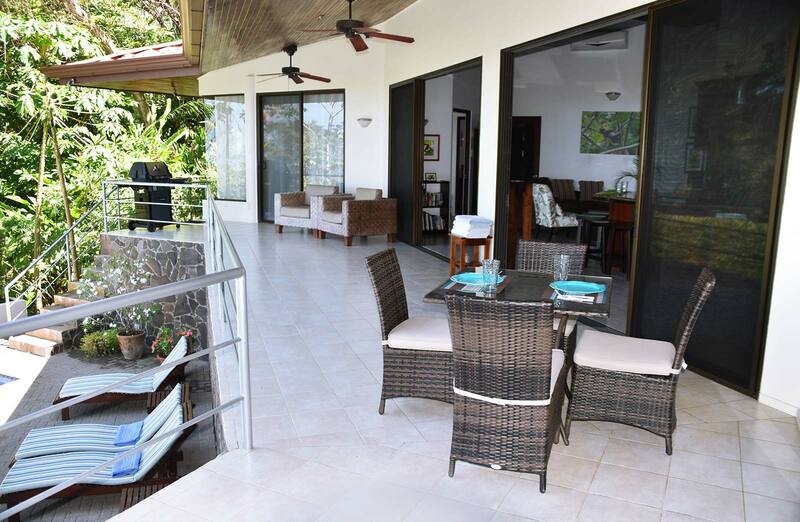 The home and property has been immaculately maintained by the current owners, offering everything you could ask for in practicality and comfort. 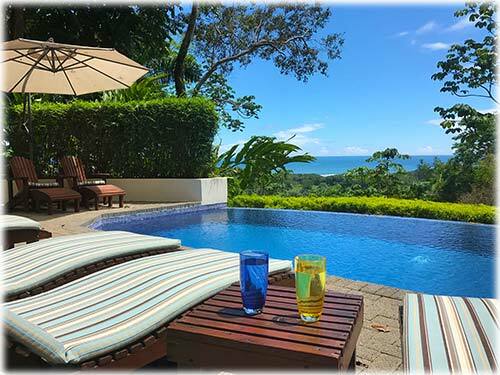 With an onsite vacation rental management program in place, this property is also primed for anyone looking to enjoy the home only part-time, while generating a rental income the remaining time of the year. 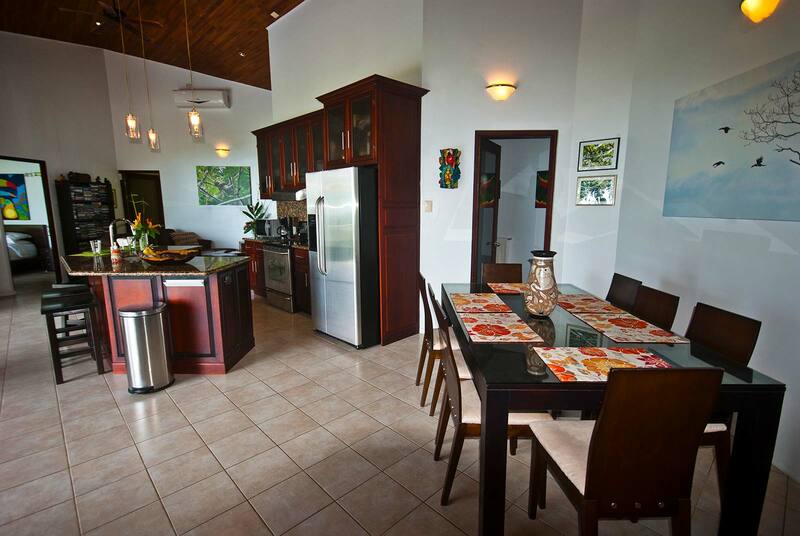 Located within a secure community, through the gated entrance and up the paved road you will find this tropical home. 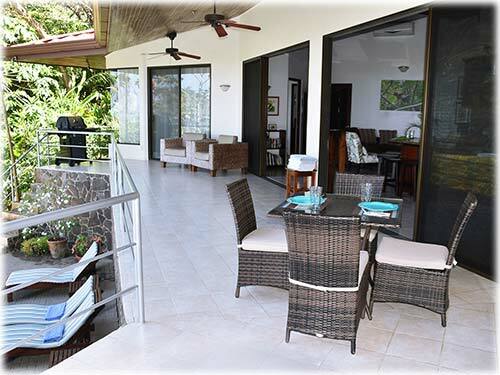 The outdoor living and dining area greets you up the stairs from the car park, allowing you to enjoy the surrounding jungle and the ocean views along the coast immediately upon arrival. 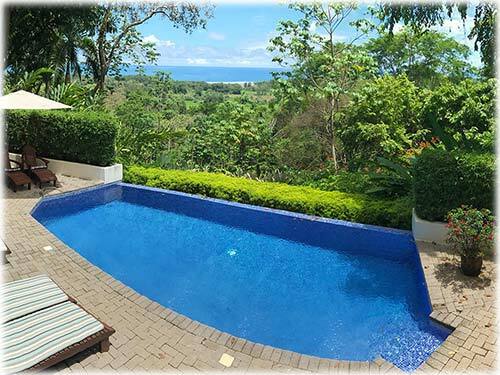 To the left you will find the infinity edge swimming pool, with lounge area, outdoor shower and half bathroom, this is where you will soak in the tranquility of the harmonious mix of green rainforest and blue ocean. 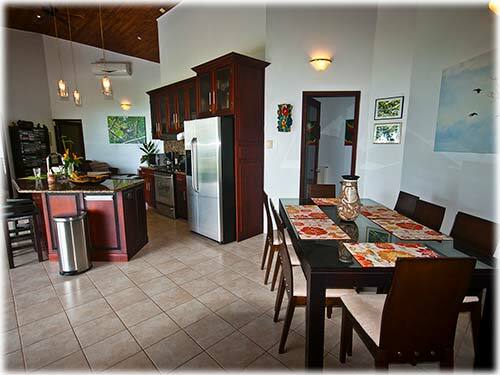 The indoor kitchen, dining and living area is one open and functional space, great for entertaining and enjoyment of the views from all vantage points. 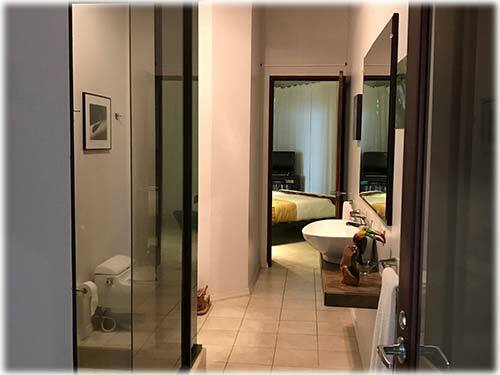 There are two identical master suites, each with floor to ceiling windows, ocean views, direct access to the outdoor terrace and en suite bathrooms with closet, duel vanities and duel showers. 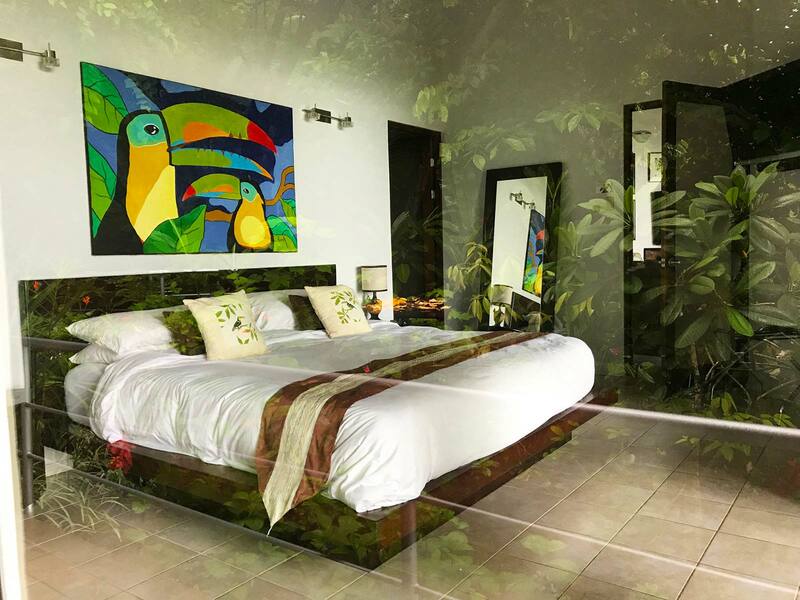 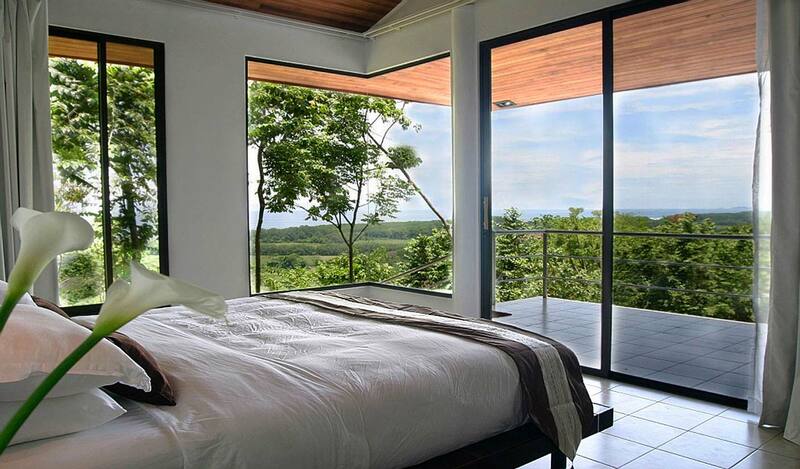 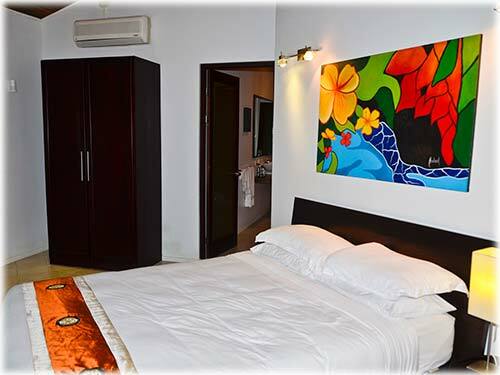 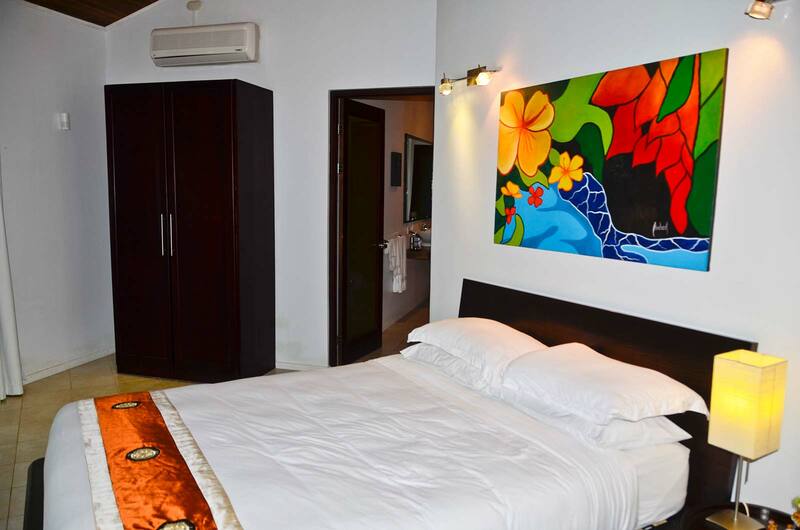 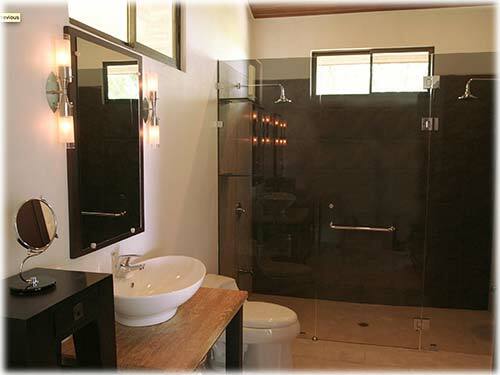 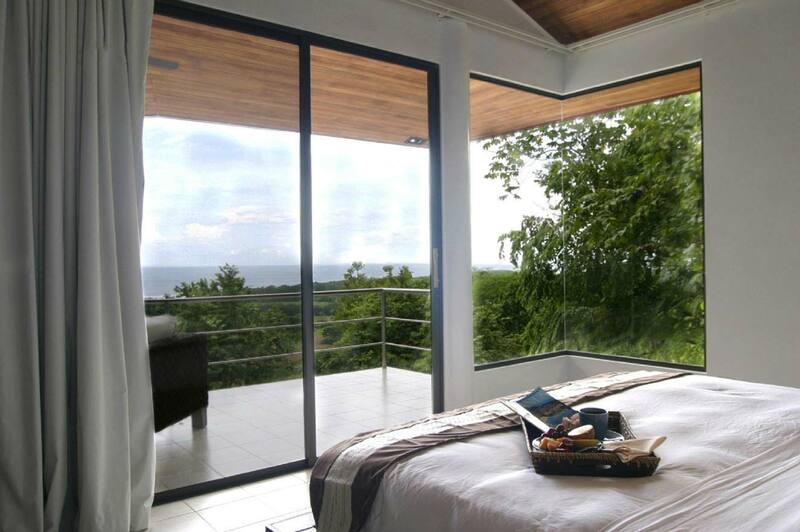 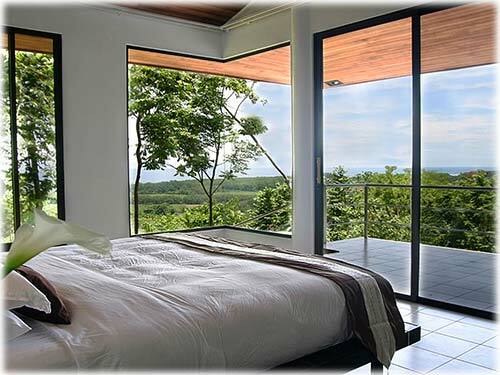 The two jungle view guest bedrooms feature private closets and share a jack-and-jill bathroom. 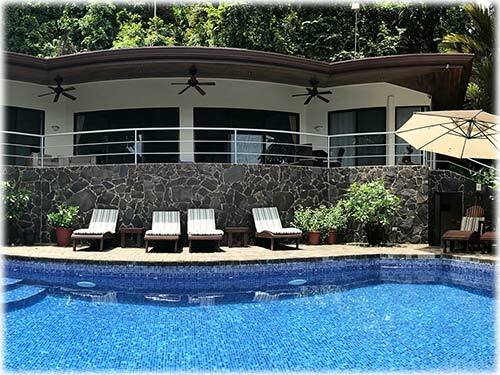 The grounds surrounding the home have been landscaped by one of the most reputable companies in the area, planned in such a way to bring a variety of birds and butterflies right to the home! 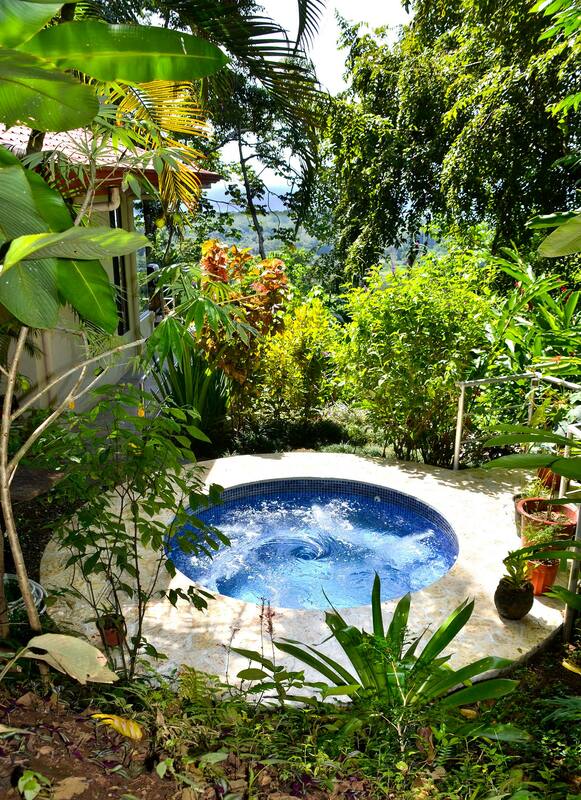 The private outdoor jungle Jacuzzi is a special feature to the property, providing a relaxing hideaway among the surrounding rainforest. 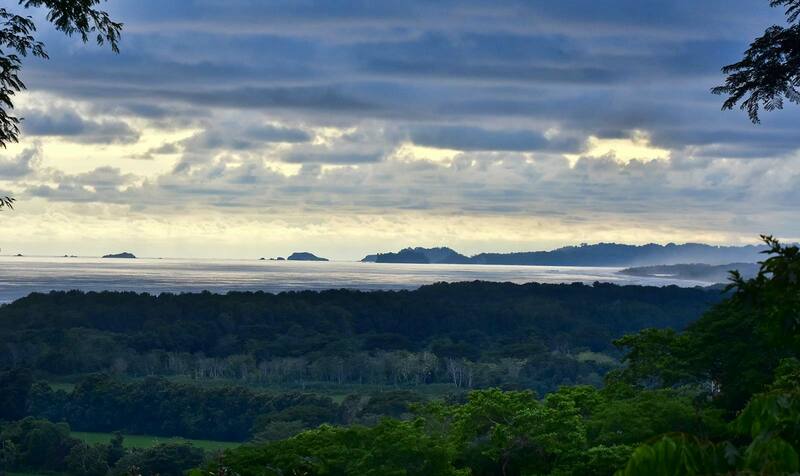 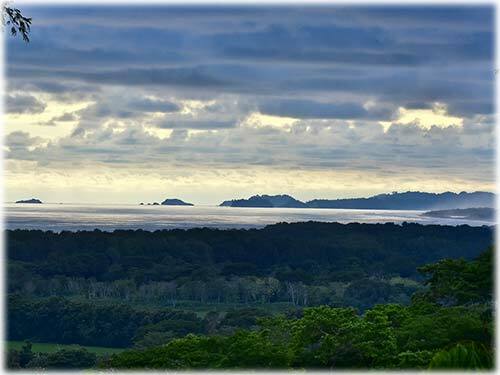 The views from the property are one of the most priceless features, an ideal mix of jungle and ocean, offering a dynamic WOW feature, with white water, coastal and jungle all in one, a truly rare combination! 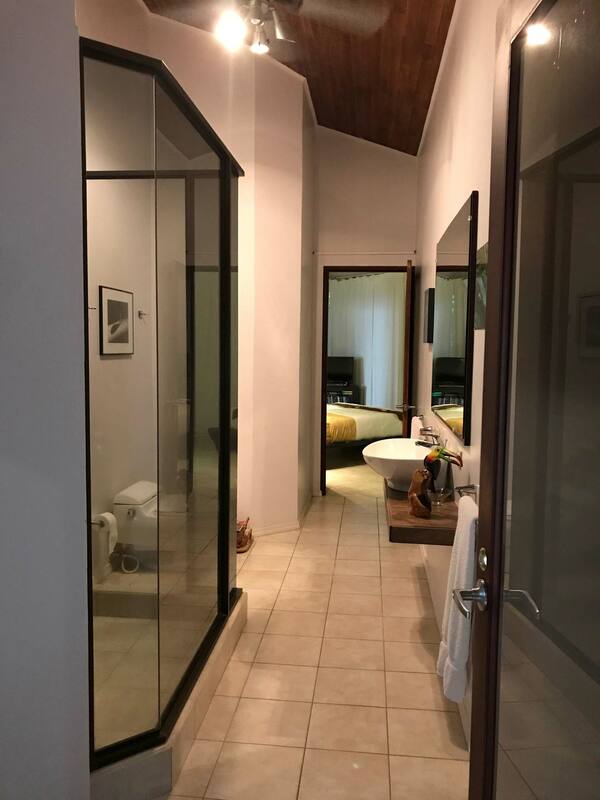 Not only is the home itself fully turnkey, ready to move in, but the owners are extremely organized, with all pertinent information on hand for a new owner. 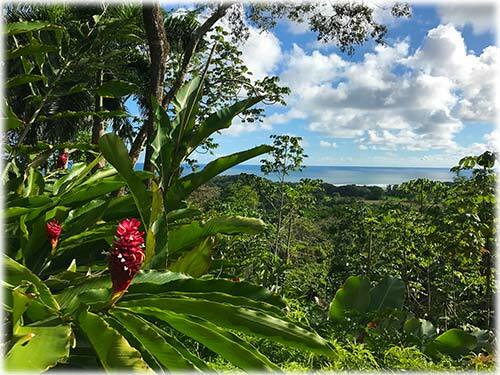 The community is immaculately managed, with an onsite rental manager and concierge service, making this also a turnkey vacation rental and investment opportunity! 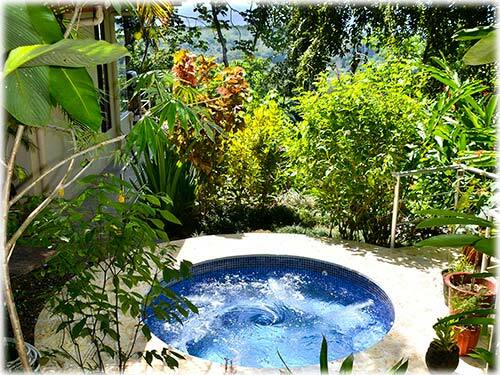 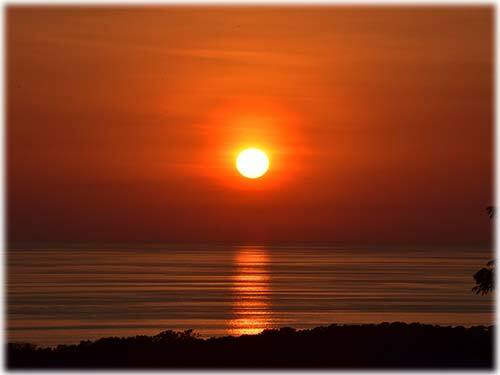 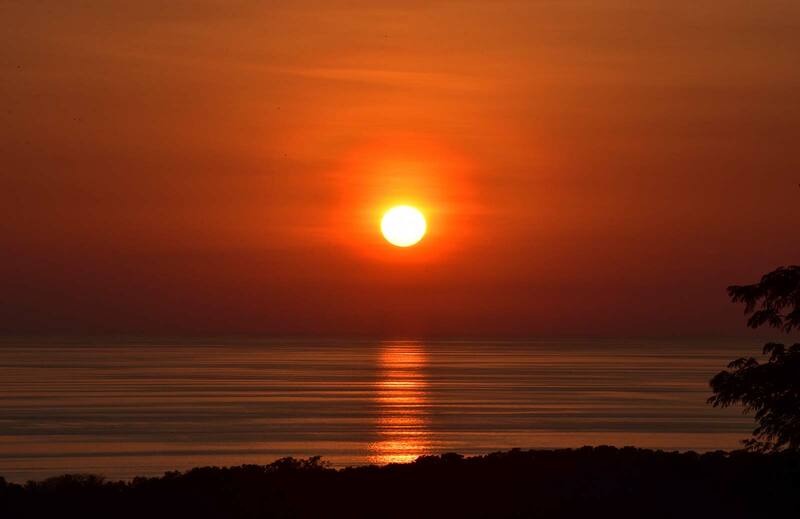 Peaceful full-time living or worry free part-time enjoyment, you have found it here!